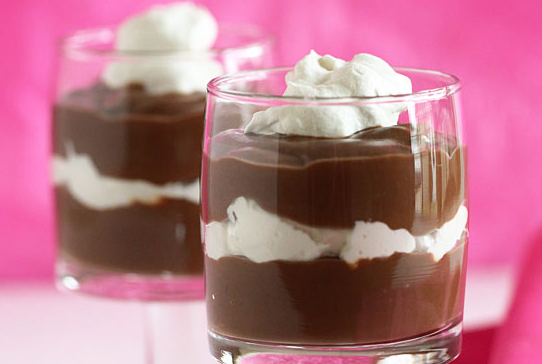 Skinny Chocolate Parfaits – Delicious! In a medium non-stick saucepan, combine milk, sugar, and cornstarch; whisk well and simmer on medium-low heat, whisking constantly until mixture has thickened, about 15 to 20 minutes. In a medium bowl whisk egg yolk. Slowly add about a cup of the hot milk mixture to the yolk, whisking in about a tablespoon at a time to temper the egg so the egg doesn’t cook. Once the egg is tempered, whisk into the saucepan with the milk mixture. Melt the chocolate squares in the microwave 20 seconds at a time, up to a minute, stirring in between until the chocolate is melted. 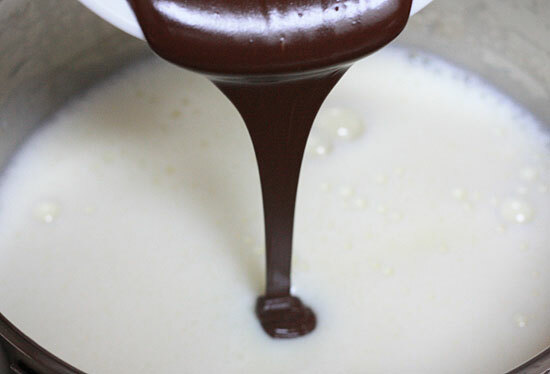 Pour melted chocolate into the sauce pan, whisk well. Add vanilla; simmer on low for 15 minutes, whisking constantly. Transfer the chocolate pudding into a large bowl, cover with wax paper, touching the pudding so that it doesn’t allow a film to settle on top. Refrigerate for at least two hours or overnight. Makes about 2 3/4 cups. When cold, place 3 tbsp pudding into each glass, then add 2 tbsp of truwhip in each, then 2 tbsp more pudding and top with a dollop of TruWhip. This entry was posted in coupons, recipes and tagged commonkindness, parfaits, printable coupon, truwhip, truwhip coupon, valentines day by commonkindness. Bookmark the permalink.